The USA Olympic Hockey Team will answer many questions about the Pittsburgh Penguins. The USA Olympic Hockey Team is bound to provide the truth to many of the questions that remain about the Pittsburgh Penguins. With one of the most talented rosters in the league year after year, many fans cannot figure out why the Pens have continued to come up short in the playoffs. The Pens haven’t lived up to expectations since their Stanley Cup-winning season in 2008-09. The problem isn’t why the Pens have fallen short of hoisting another Stanley Cup, but the way that the Pens have been eliminated from the playoffs the past few years. Two years ago, they were embarrassed and showed no discipline when they were knocked out of the first round of the playoffs against the Philadelphia Flyers. This past season, the Pens looked to be clicking on all cylinders entering the Eastern Conference Finals but were swept by the Boston Bruins. Despite their scoring woes against the Bruins, I’ve always believed that defense has been the Pens’ biggest weakness. Pens’ GM Ray Shero is on record as saying Game 2, which the Pens lost 6-1 at home, is the game that cost the Pens the Eastern Conference Finals. The Pens’ back-checking and defensive zone coverage were exposed in Game 2. I’ve been critical of Dan Bylsma and how the Pens have played defense in the post-season. I felt that Bylsma was more worried about puck possession and never concerned with defensive coverage. Considering all of the natural scoring ability on the Pens’ roster, if they could find a way to surrender fewer goals, they’d be a tough out in the playoffs. When a team doesn’t live up to expectations, the coach takes the majority of the blame. 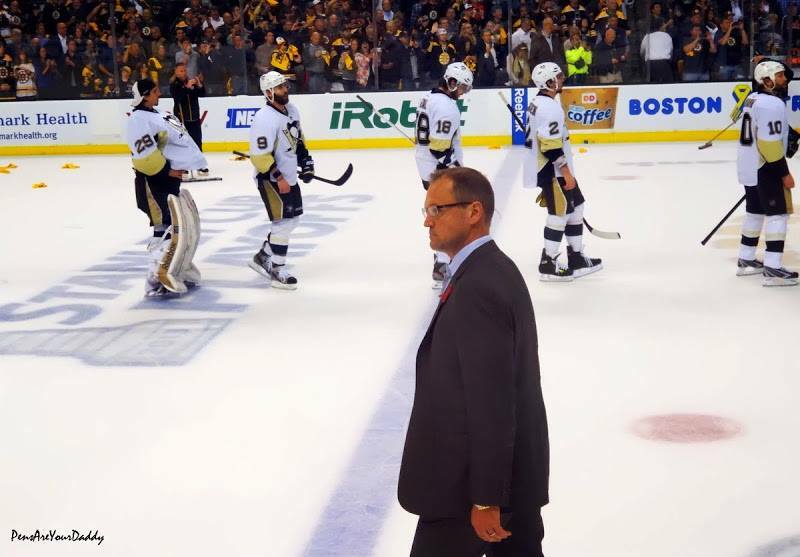 Many Pens’ faithful were calling for Bylsma’s head after another disappointing playoff season. Pens’ fans still can’t believe how Bylsma hasn’t been able to sustain more playoff success with the roster he has at his disposal. There’s no question that Bylsma should be held responsible to a certain degree, but opinions may be swayed after watching Bylsma coach Team USA in the 2014 Sochi Winter Olympics. The Pens’ defensive struggles in the playoffs, especially last year, cannot be blamed entirely on Bylsma. Before the Bruins’ series Bylsma had the forwards practice back-checking drills. They worked on communicating with the defensemen about who to pick up in coverage back-checking into the defensive zone. Bylsma used practice to address these items, but the work put in did not pay dividends against the Bruins. Against the Philadelphia Flyers two years ago, the Pens took an insane amount of penalties and gave up an average of five goals a game. They showed improvement and were more disciplined this post-season, but their discipline crumbled once they were hit in the face with adversity by the Bruins. Sidney Crosby was more worried about getting in the last word with Zdeno Chara than sacrificing his body in front of Tuukka Rask’s net to score a goal. Many Pens’ fans wondered why Bylsma didn’t do more about the discipline and defensive problems. 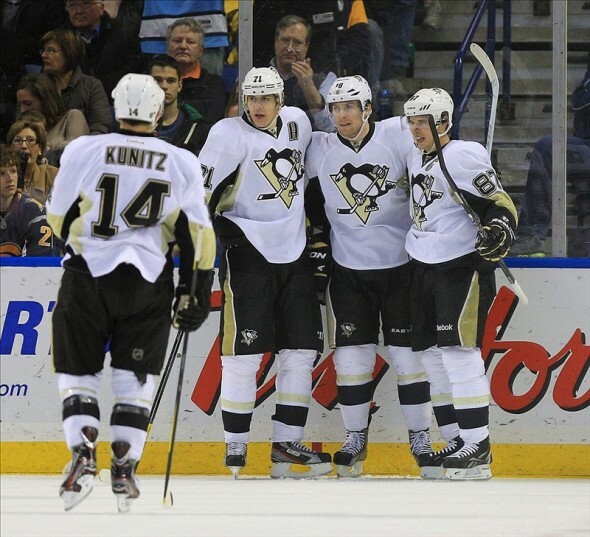 Has the problem been Bylsma or the Pens’ players not listening well enough to their coach? Team USA’s play will provide many answers about the Pens’ team as a whole. Team USA is not going to have one of the most talented teams at the Olympics like the Pens have in the NHL. Team USA won’t be able to rely heavily on offense to win a gold medal as the Pens have depended on offense to see amazing regular season success. Team USA will have to play great defense as they have in successful Olympic outcomes in the past. If USA fails to play well defensively, this deficiency will relate back to Bylsma and his lack of stressing defense as a coach. If Team USA shows they can play shutdown defense, we’ll know that Bylsma is preaching defense but the players on the Pens aren’t carrying out Bylsma’s message. The Olympics will tell whether Bylsma lacks certain aspects as the Pens’ head coach or whether his Pens’ roster full of superstars aren’t making the sacrifices needed to overcome playoff adversity. Team USA’s roster will be filled with more stars than the Pens’ roster will ever field in one season. If the players on Team USA listen to Bylsma, play disciplined hockey, and strong defensively, then we will see where the root of the problem lies. One thing is for sure, Team USA’s hockey team will provide Pens’ fans with answers to many of the questions that have remained at the end of the past four playoff seasons.